Wakaba Kohashi, a sheltered rich girl, dreams of becoming a fashionable and trendy gyaru because she admires their outgoing and carefree nature. With this goal in mind, Wakaba begins the school year hoping to make her high school debut as a gyaru. On the first day of class, she meets the pure Moeko Tokita, the serious Nao Mashiba, and the eccentric Mao Kurokawa, and the four of them quickly become friends as they learn about and imitate each other's lifestyles. 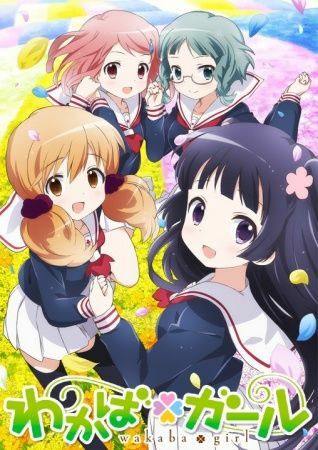 Wakaba*Girl follows the adventures of these four friends while they experience events like school festivals, waterpark trips, and gym class tests. Along the way, Wakaba discovers what it is like to live as a regular student while Nao, Moeka, and Mao catch a glimpse into the life of a rich family. With never a dull moment in their lives, the four girls make sure to live each day to the fullest.